McDonald's - DoubleTake Design, Inc.
We had the pleasure of creating several really out-of-the-box (no pun intended) press kits for McDonald’s over the years! 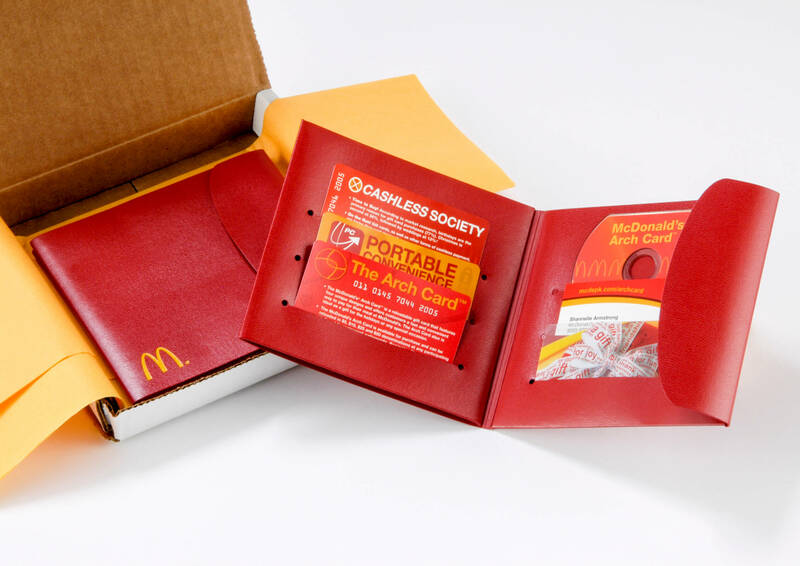 When McDonald’s launched the Arch Card, its own gift card, we created a custom golden-arches branded wallet with fact cards that looked like credit cards, a mini CD with content for their articles (photos, press release, fact sheets, etc. ), a business card and an actual Arch Card that the media contact could use. Before holiday season, media was sent this unique kit with statistics about the most-returned holiday gifts. 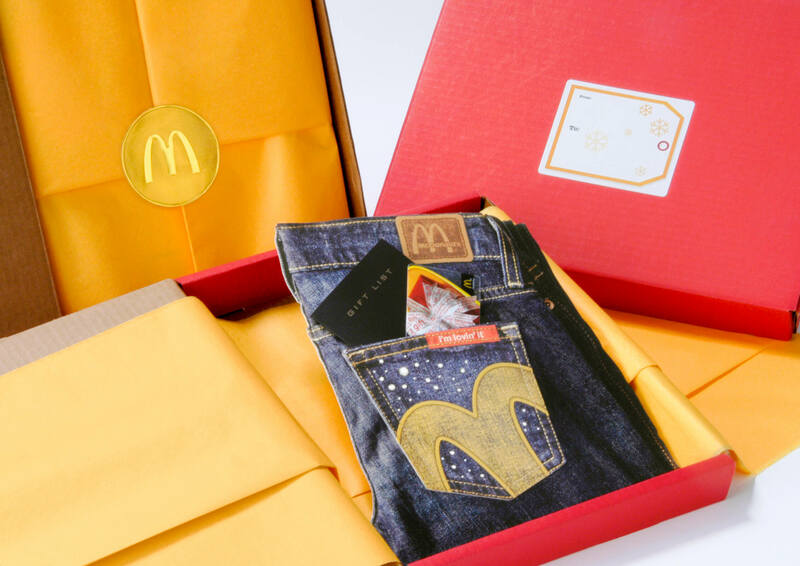 Jeans were on the list, so we designed custom bedazzled I’m lovin’ it jeans (made from paper) and inserted in the pocket was a little black gift list with all the facts about holiday giving and an actual Arch Card for the media contact to use. 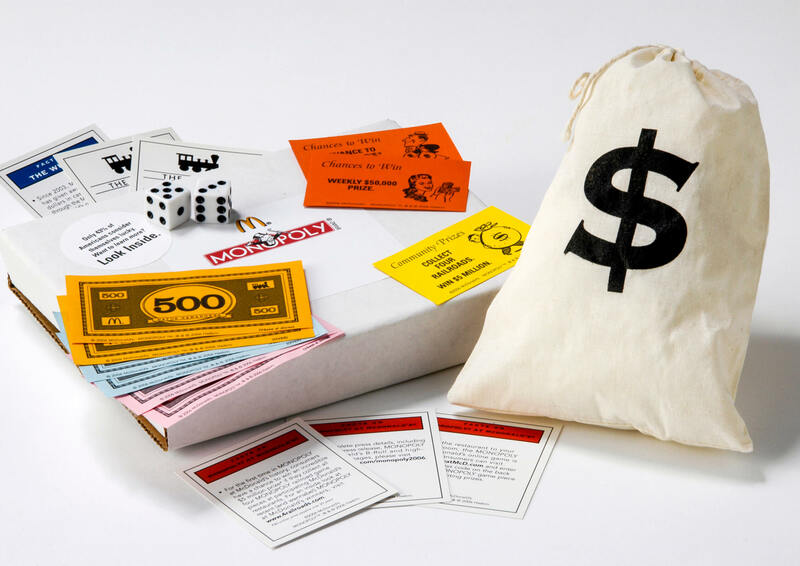 In preparation for the Monopoly game at McDonald’s, we sent out a box with a money bag filled with customized Monopoly money and Monopoly cards with information about the game to come — and even a set of dice! 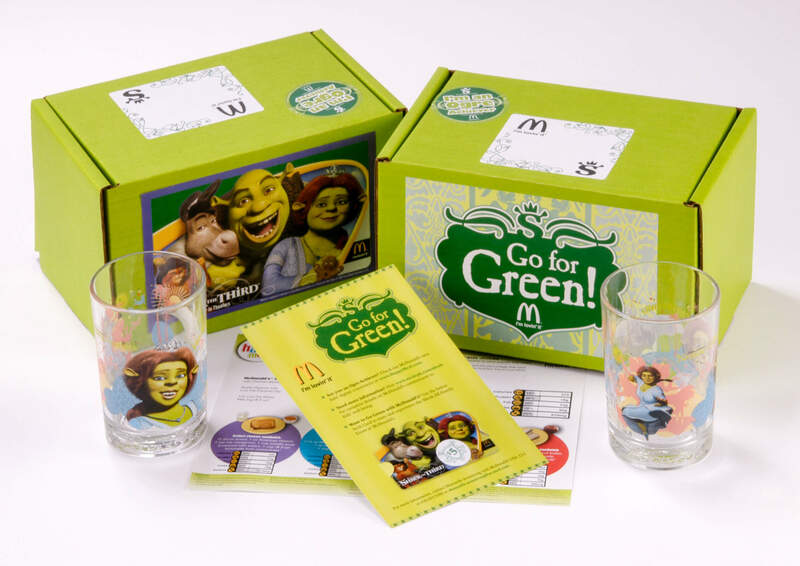 To build excitement for the Go for Green Shrek event, we sent out some of the actual glasses that were given out with purchase at McDonald’s in a bright green box that the media couldn’t help but open. Want to get the media to bite?